Admin Note: Currently there are some problems with this download. 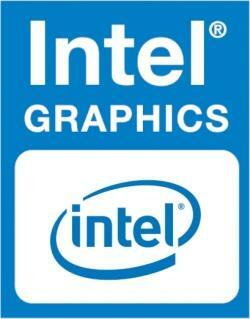 Intel HD Graphics QECI 10.10.3.zip Intel HD Graphics QECI 10.10.4.zip Intel HD Graphics QECI 10.10.5.zip are available. The others are currently AWOL. The issue is under investigation and when this message dissappears the issue will have been resolved. In here you will find my QE/CI and CI only packages for your 1st Generation Intel HD Graphics IGPU for OS X Mountain Lion, OS X Mavericks and OS X Yosemite. They are now available for the HackintoshOSX community. Download the Intel® HD Graphics QE/CI package if your laptop is using the LVDS connector. This package has the necessary kexts to enable Quartz Extreme with Core Image (QE/CI). This enables full hardware/graphics acceleration. 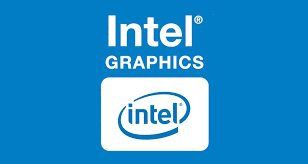 Download the Intel® HD Graphics CI package if your laptop is using the eDP connector. This package enables Core Image (CI) only. This enables partial acceleration. Note: CI only for OS X Yosemite has been discontinued. Add this to kext to patch section in clover info.plist to up your HD4600 from 1536MB to 2048MB, enable 9MB cursor and enable 306 HDMI port. These two kexts will enable Full QE/CI on 4400/4600 based Haswell machines. I'm currently on Dell Inspiron 7537. This is An Exclusive QE/CI Patch For OS X Yosemite 10.10.2!! For Those Who Are Victim of HD Graphics Device ID Changed Can Use These Patched Kexts Without Any Need of Patching DSDT or Adding Fake PCI ID !!! Also Uncheck Reduce Transparency in Sys Pref>> Accessibility..
Instal this kext ( i use kext wizard ) and restart to upgrade hd 4000 vram. download anh unzip it, then using kextutility install--> restart. 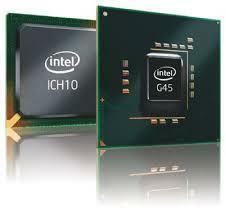 Intel HD 4600 Mobile 0x0416 FULL QE/CI FIX for laptops. 4.Repair permissions and rebuild cache. Tested on my Acer Aspire E5-572G-38HC with Yosemite 10.10.3. Note :Boot with -f if you any boot problems. 2 Open Terminal and Key " sudo rm -rf /System/Library/Caches/* "
Intel HD 4600 Mobile 0x0416 FULL QE/CI Yosemite 10.10.2 "Easy install"
Tested on my Acer Aspire E5-572G-38HC with Yosemite 10.10.2. [NEW] Intel HD 3000 & HD 4000 Driver 10.10.1! 1- Install & Boot OS X 10.10.1. 3- Download & install lastest Chameleon or Clover from web. 4- Download lastest kext utility from web. Update to 10.6.4 and use it! Work on ASUS EEE PC X101! A mi me ha funcionado muy bien a excepción de que se tarda un poco en cargar algunas cosas que exigen video, espero solucionar pronto.